NOTE: This content is old - Published: Sunday, May 20th, 2018. 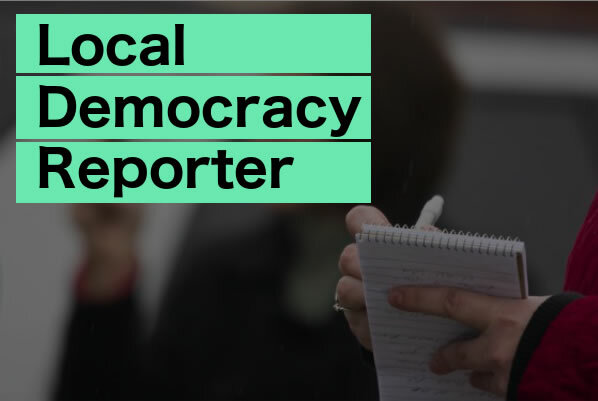 An initiative to explore the school curriculum in a new imaginative way got underway at a Deeside primary school last week. 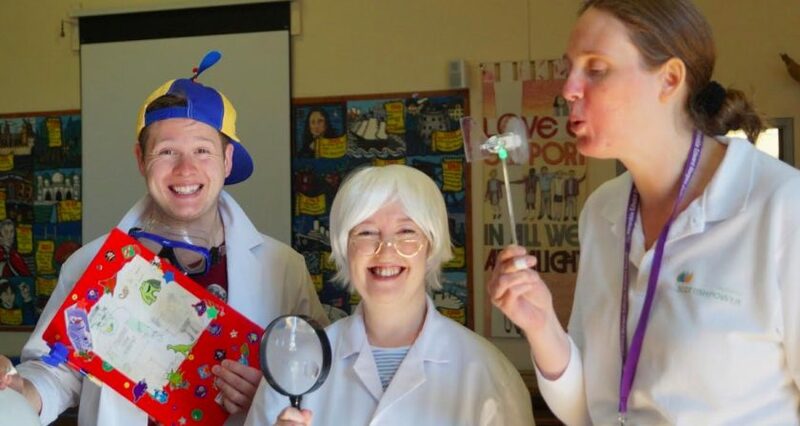 ‘Professor Sparky’ and her ambitious young nephew, Eric, made a dramatic entrance into the classroom at Venerable Edward Morgan Catholic Primary School in Shotton sparking an imaginative adventure into the world of science. Taking place over two classroom sessions, the first sees the Professor, played by actor Nia Davies, interrupt a maths lesson with her nephew, played by Sion Emyr, she asks the class of 7 and 8 year olds to help Eric pass an exam to become a Professor himself. The Key-Stage 3 children are then given a week to complete a project and create a presentation, explaining the answers to questions such as what is a star? and how do you use the sun to make electricity? 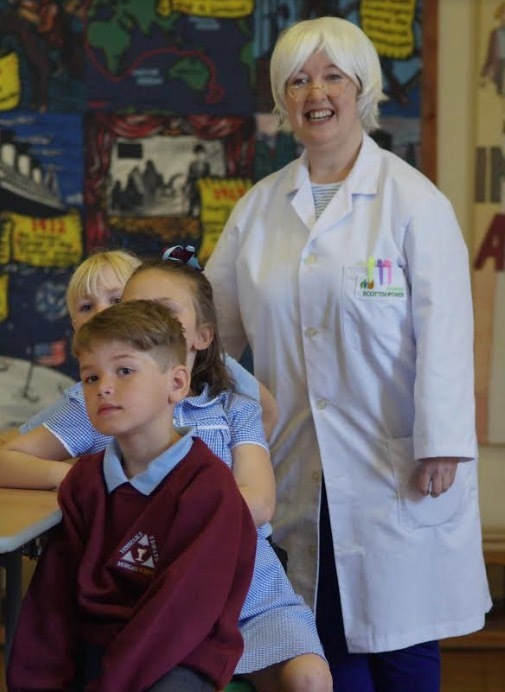 The North and Mid Wales Reaching Wider Partnership at Bangor University and the ScottishPower Foundation have teamed up with Theatr Clwyd to raise awareness of opportunities in STEM subjects (Science,Technology, Engineering and Maths) amongst children in North Wales primary schools. Bright Sparks, led by the North and Mid Wales Reaching Wider Partnership at Bangor University, is an interactive initiative combining science and theatre and aims to inspire children across the region to explore the curriculum with new imagination to increase their motivation and stimulate ambition. The long-term aim of the Reaching Wider Partnership, a programme established by the Higher Education Funding Council for Wales, is to raise aspirations, attainment and participation in higher education for under-represented groups and communities. The ScottishPower Foundation are donating over £1 million to good causes and worthy projects across the UK and the funding received by Bangor University’s Reaching Wider Partnership will allow the Theatr Clwyd performers to deliver the Bright Sparks sessions in schools across the region. Ann McKechin, Trustee and Executive Officer of the ScottishPower Foundation said: “The Bright Sparks programme demonstrates a creative cross-curriculum approach in engaging young people to foster a love for science and technology, and it is fantastic to see Theatr Clwyd and Bangor University joining forces on this initiative.  Bright Sparks will be visit other schools in Deeside over the next few months.